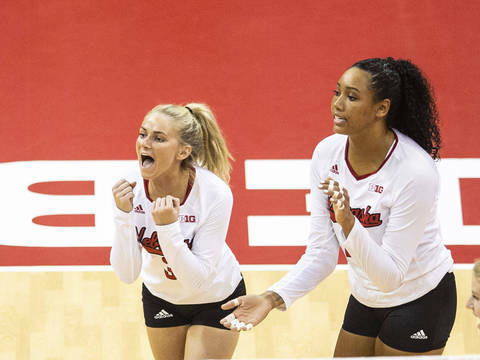 The second-ranked Nebraska volleyball team rebounded from its season-opening loss to No. 7 Florida with a 25-21, 25-21, 26-24 sweep of No. 18 Oregon at the VERT Challenge in front of a crowd of 8,135 at the Bob Devaney Sports Center on Saturday night.